Who doesn’t love fluffy jumpers? 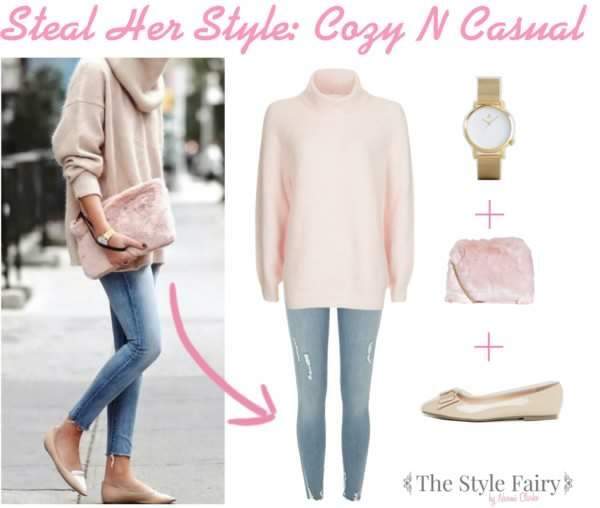 This look featuring a cozy casual jumper caught our eye recently and we just gad to recreate the look. Stay comfortable and stylish in the look which is perfect for a weekend break away. Check out how we recreated this look with highstreet finds.